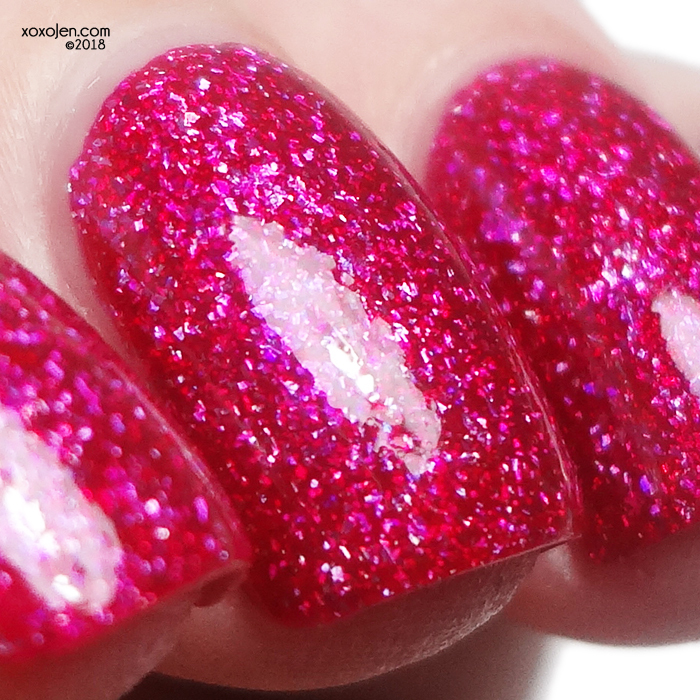 Colors By Llarowe's polish of the month for March is a beautifully done pink! a reddened hot pink prismatic holo flake with blue to purple Aurora pigment for added sparkle. Super formula, two coats. 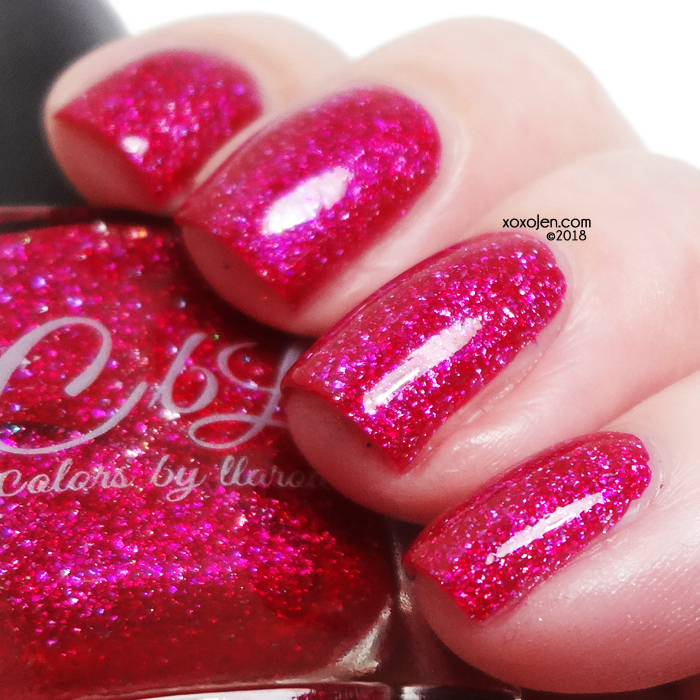 Jitterbug will be available March 1st at https://color4nails.com/ and Girly Bits. Beginning March 1st Colors by Llarowe polishes will no longer be stocked at Llarowe.com. You can read the full announcement at the Llarowe webpage.